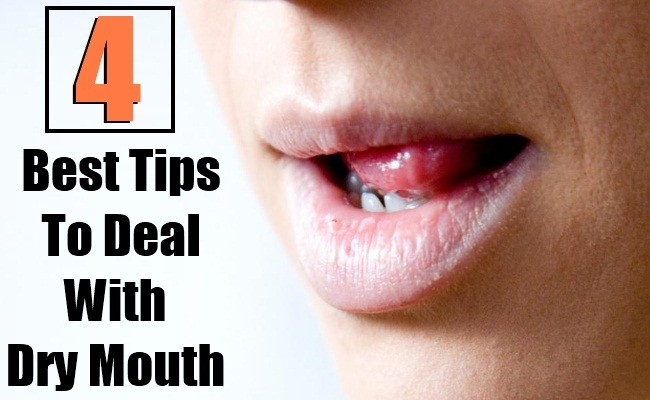 Dry mouth can be irritating. While the fact that it leads to making your mouth feel chapped and sticky almost all the time, it also gives out bouts of foul mouth odor. This can seriously affect your personal as well as professional life. Hence; if you want to get rid of the problem, you can resort to some easy home remedies. Some of these remain almost always handy with you and you just need to use these for the problem. Aloe vera is one of the most trusted and most well known treatments for dry mouth. A great source of moisture, aloe vera juice when consumed on a regular basis, helps to combat the problem of dry mouth almost permanently by nourishing the soft tissues around the mouth. Apart from that, aloe vera juice and pure aloe vera gel is also known to enhance taste by enhancing the taste buds. To reap the benefits aloe vera to combat dry mouth, take 1/4th cup of aloe vera juice every day morning. Other than that, you can also apply pure aloe vera gel on the inner lining of your mouth. A mixture of aniseed and fennel seeds when consumed together helps to boost saliva production, thereby keeping dry mouth and resulting mouth odor at bay. Other than boosting saliva production, fennel seeds also aid in digestion, thereby facilitating good breathe by keeping all gastric problems and bacteria production at bay. Consume 1 tablespoon of aniseed and 1 tablespoon of fennel seeds together in the morning to get rid of the problem of dry mouth. Chewing gum is yet another amazing home remedy for keeping dry mouth and bad odor at bay. Pick a gum of your choice – normal or sugar-free and keep chewing on one whenever you can. Of course this is not a viable option for when you at office or at a relatives. However; other than that, you can definitely resort to it. Chewing on gums keeps the taste buds active and also boosts the production of saliva, thereby keeping the mouth from turning dry. If you are suffering from the problems of dry mouth and mouth odor, mouthwash is a must-have remedy for you. Follow brushing with a period of mouth-washing with a mouthwash. While the minty flavor of the mouthwash will keep constant flow of saliva to mouth, it will also take care of bacteria development in your mouth and therefore your mouth odor.